Our fundraising committee organises and oversees the major events held by the club. The money raised enables us to provide service and or financial assistance to local, national and international deserving causes and individuals, charities and other charitable concerns. · We also regularly raise funds via collections at our local supermarket and our own Wishing Wells in the area. New fundraising ideas are always welcome and we are sometimes able to assist other organisations with their events. Past examples have included Roulette Evenings, Race Nights and a Schools Concert. If you wish to take part in any of our major fund raising events below. To contact us, for general enquiries click on the email link below, or for a specific event that you are interested in, go to the Events section of the website and use the contact form at the bottom of the individual events own webpage. 2018 results are here. 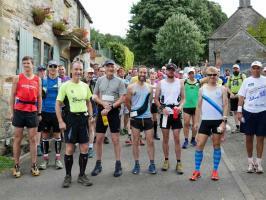 A 26 Mile circular run or walk (actually some say it is 27.4! 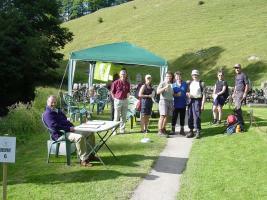 ), or shorter 15 Mile ramble or run through the beautiful Derbyshire Peak District National Park.